After the tragic loss of his intended mate, Jake Anderson vowed to never love again. He left Aiden Mitchell’s Montana pack and sought solitude as a lone wolf in Florida. But he never envisioned falling for Molly, the intended mate of a powerful alpha’s heir. The lovely shifter with her tumbling masses of red hair sparks a passion he thought long dead. He will do anything to possess the curvy werewolf who makes him laugh and feel alive once more. Jennifer Ashley, Laurie London, Erin Quinn, Erin Kellison, Colleen Gleason, Caris Roane, Felicity Heaton. 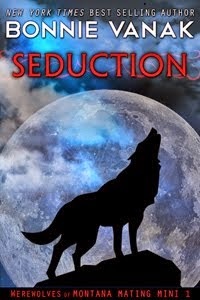 Redemption is the story of Robert, Molly's uncle and pack leader of the Keynes pack in PASSION. 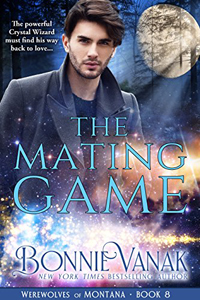 I'm looking to release Aiden's book, The Mating Challenge, this summer (Werewolves of Montana Book 5). And also I'm going to release Devotion, Mating Mini #5. Devotion will be a departure for me, my first dragon shapeshifter book! I hope to release Passion, Mating Mini #3, in the next 10 days. I'll let you know soon as it's ready. It's in production right now. Happy reading!